Perhaps no other collection of albums has sold better to the youth over the last decade than the EFY albums released every summer. 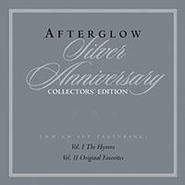 Deseret Book Company has had a long relationship with EFY over the past ten years and is now releasing a new collection of the most requested EFY songs. I'm 20 years old now and my favorite music has always been the LDS music. When I was seventeen years old I got a tablet for Christmas. Just a little bit earlier I had gone out with an amazing girl my age from another ward in my Stake. She's now serving a mission in the Hungary Budapest Mission! After I got the tablet I started using the Gospel library app and looking at lds.org. I came across a few music videos of songs from that year's Mutual Theme Album. I really liked them! When the January 2016 issue of the New Era Magazine came I read it and discovered who was singing the Theme Song. I had to check it out. I graduated from high school on June 2nd, 2016. That Fall I started a new school and found myself on the computer during my free time listening to music from the youth site. After a few days I started listening to the Mutual Theme Albums and I fell in love with them! I later got them on my tablet. On my phone I have all the music from the youth website. My favorite music is the Mutual and EFY soundtracks! I will be getting the EFY music from 2013-2018. I'm so excited! This is such Sacred music; the Lyrics to all of the songs so touching. Beautiful! 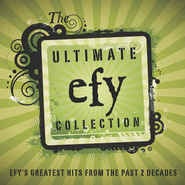 I love listening to the efy music and this cd contains a wonderful collection of some of my favorite efy songs. Really touches your heart.If you're struggling for any reason...this will pull you through! I LOVE the songs from EFY! However, I do not agree that this is the BEST of the EFY CDs. My favorite EFY songs have been from these past three years, so I'm really looking forward to a new 'Best of EFY' CD to come out. , I LOVE the music from EFY. It's so uplifting and I listen to it every Sunday to get the spirit and also throughout the week when I have a rough day. It really reminds me of the spirit that was felt at EFY and the AMAZING experience that EFY has been these past 3 years for me. I think this is worth it just for the last song on the album. I am a strong supporter of EFY music and the impact it has on both youth and adults.